2010 was an interesting year for the Twilight series. To review: ‘Twilight’ in 2010: the best moments of the year for the ‘Saga’. Now that it’s almost 2011, it’s time to think of what Twilight fans have to look forward this year. 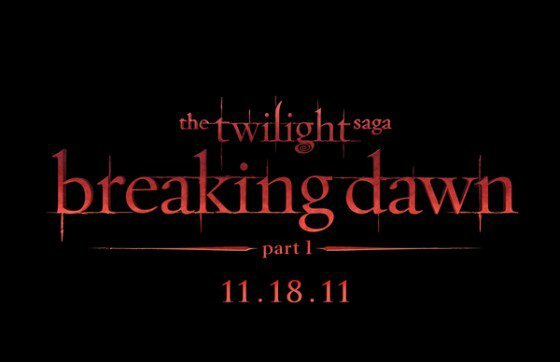 With the release of The Twilight Saga: Breaking Dawn – Part 1 coming on November 18th, it’s sure to be a good one! Here are ten of the most exciting moments yet to come in 2011. Filming on Breaking Dawn has been going on for a month (give or take) now, and it is expected to pick back up from the cast and crew’s winter holiday break on January 3rd. While we know that the Baton Rouge set of Breaking Dawn is locked up tightly, the cast has never been more active on Twitter than it has been this go-round. So, hopefully we’ll keep getting bits and pieces of information from them – not to mention some more of those special Breaking Dawn snapshots Bill Condon (director) has been doling out (for Thanksgiving and Christmas, so far). This should tide us over until . . . .
At lastttttt . 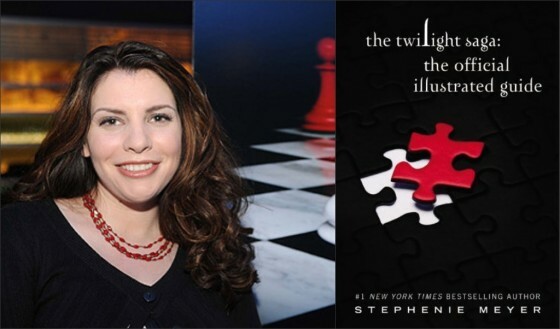 . . On April 12th, Stephenie Meyer’s Official Guide will hit stores. It’s been a long time coming, and fans have been very eager to see what Meyer has cooked up to explain any missing pieces in the Saga. If Bree Tanner was any indication of what was in store with the Guide, it should be a very interesting addition to the collection. 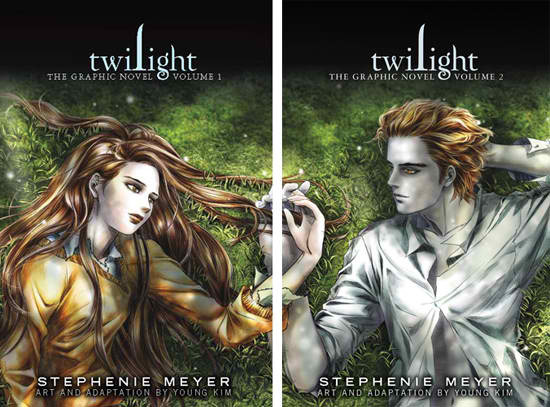 The same will be true if Volume 2 of the Twilight Graphic Novel hits stores october this year. Like with Eclipse in 2010, fans can most certainly look forward to the moments when new still images, trailers, and TV spots start rolling out for Breaking Dawn. Of course, it won’t happen all at once or that simply, but throughout the year, we’ll start to see more and more from the movie as the theatrical release date for the film begins to near. No doubt the first trailer will come by way of an important event (for example, with New Moon, the first trailer showed at the MTV Movie Awards), and still images will come out a few at a time, so the release of these things will probably become their own little events. That’s always pretty fun for Twilight fans. Each of the Twilight series’ soundtracks have had their own unique story. With New Moon, we watched as a wealth of interest from bands and individual singers came about. So many Twilight-inspired songs came across the fan radar that it was hard to keep up. Then Chris Weitz and Alexandra Patsavas ended up scoring tons of respected talent for individual songs tailored to the New Moon story/atmosphere. With Eclipse, the album was set apart by its unique marketing. In case you don’t remember what I’m referring to, fans were given a window of time to listen to the album streaming online before making a decision to purchase it. And with both, there was intense fan interest in which artists were selected to contribute to the soundtrack. And the results were impressive once again. So the Breaking Dawn soundtrack will probably house a few important moments as well – the most exciting of which will be the release (followed closely by a first viewing of the film with the music accompanying). Same goes for the selection of a composer for the score (in all likelihood, one composer will do both Breaking Dawn scores for the sake of continuity – not confirmed, just speculation). 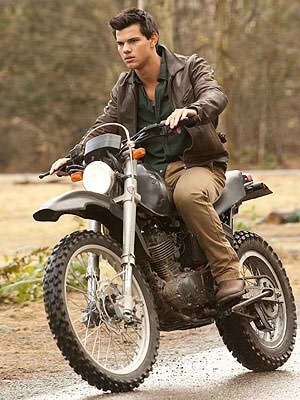 Already, there’s a TV Awards show appearance in the works for the cast: the 2011 People’s Choice Awards, where Kristen Stewart and Taylor Lautner will represent the Twilight Saga. That’s just the first of what will undoubtedly be many Twilight TV appearances. Note that in 2010, the Twilight cast showed at the MTV Movie Awards, the Scream Awards, the VMAs, the People’s Choice Awards, the Golden Globes, and even the Oscars. In one way or another, we’re going to get to know more about the newest Breaking Dawn castmembers. Some are on Twitter, and that’ll definitely help those castmembers make themselves known to fans. With the others, there’ll probably be appearances and interviews coming here and there which will introduce each of them to the Twilight fandom. This will be particularly true near to the release date for the first part. All throughout the Saga, there have always been new cast additions to speak of, and it’s always entertaining to hear what it’s like for these actors to step into such a notorious and followed film series. . . . and this’ll be but a part of the . . . There are going to be so many television, red carpet, magazine, and online interviews with the cast, crew, and filmmakers over 2011 that Twilight fans’ collective heads will be spinning by November. During the thick of it, there comes a point – at least for Twilight site admins – where you have to decide which of the many, many clips and snippets get the most attention. It’s when there’s content overload like this that it becomes clear just how significant this series is at the moment. A lot of the Twilight cast’s other projects will be hitting theaters this year. And judging by IMDb’s recently discussed MOVIEmeter results, some of them have already been getting a heavy amount of interest. The ones fans seem to be most looking forward to are Water For Elephants (with Robert Pattinson), On The Road (with Kristen Stewart), and The Apparition (with Ashley Greene). No Leno or awards show appearance will ever stack up to premiere night. Fans will, in devoted fashion, camp out in a sort of tent city for days to see the big event in person, and there’ll be livestream feeds all over the place for those who can’t make it to L.A. (assumption on location there). The cast, Stephenie Meyer, Bill Condon, soundtrack musicians, and filmmakers involved will all walk the red carpet in style. It’s definitely something to look forward to. New Moon and Eclipse still have some records in pocket from their theatrical releases. No doubt the same will become true for Breaking Dawn, but more importantly, fans will get to finally see some of their favorite moments from the entire Saga on-screen. Breaking Dawn 1 promises a wedding, a honeymoon, the introduction of new characters, and the beginning of new lives. The movie’s release date is November 18th, which is less than year away. It’ll be a great day.